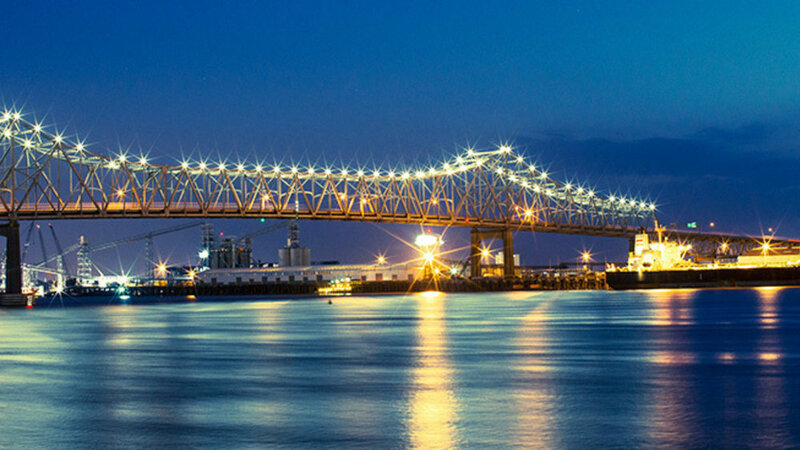 Baton Rouge is a multi-cultural treasure, a Deep South metropolis with culinary connections to Europe, Africa and the Caribbean. Huey Long, Louisiana Senator and governor, was assassinated here but not before "The Kingfish" left his mark on the state. Baton Rouge houses over 300 years of history, much of which can be tasted in the amazing food and seen in their distinct architecture. Baton Rouge has its own unique culture. There are so many ways to experience this grand destination and tons of accommodations to choose from, including B & Bs and boutique hotels. Jacksonville is a must destination for gourmets. A major port city with unlimited access to great seafood, the city is also a major arts center with a symphony, opera, ballet and acclaimed museums. Here you can experience a different side of Florida, and you can combine adventure with chillaxing. 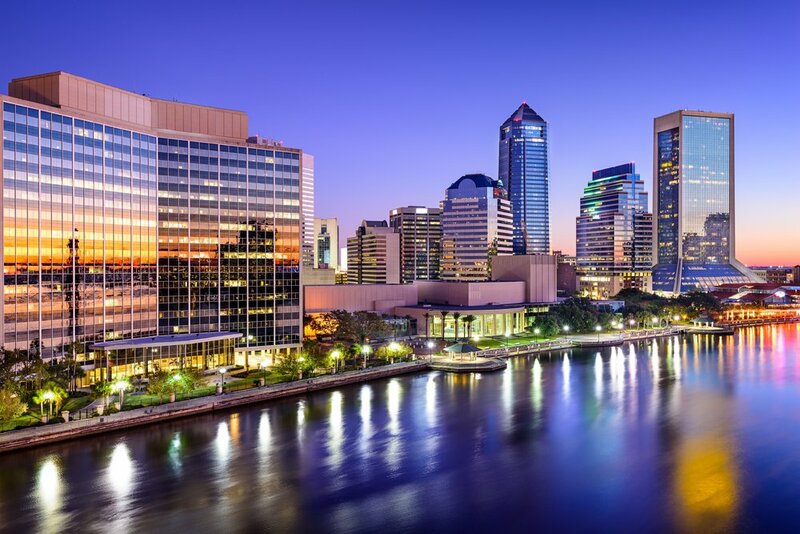 In fact, Expedia listed Jacksonville as one of the 21 Super Cool U.S. cities! Jacksonville is ready to welcome you so go visit and have fun! Fernindina Beach, the lovely city in northeast Florida, juxtaposes original Florida with the amenities expected by today's visitors. If you love beautiful Victorian homes and great restaurants, here is your paradise. 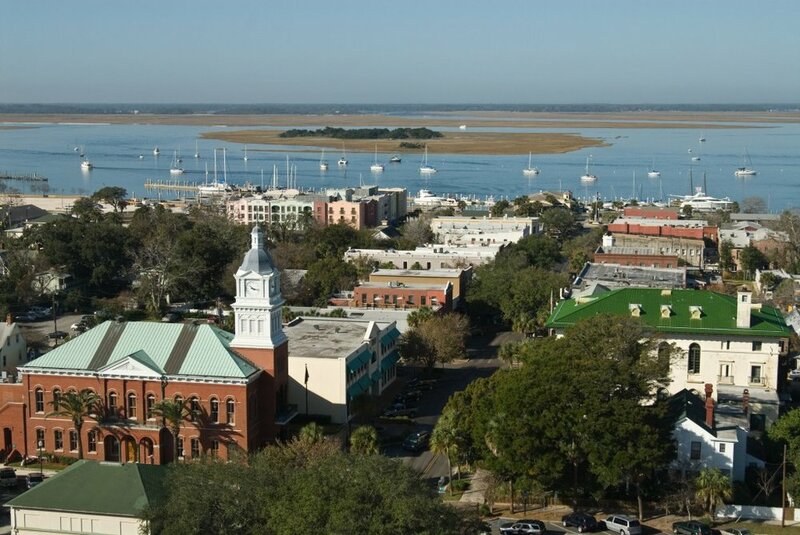 Fernandina Beach is a sweet community with warm neighbors, great shopping, beautiful sandy beaches and majestic trees. Begin your day with a glorious sunrise and end the day with a radiant sunset! 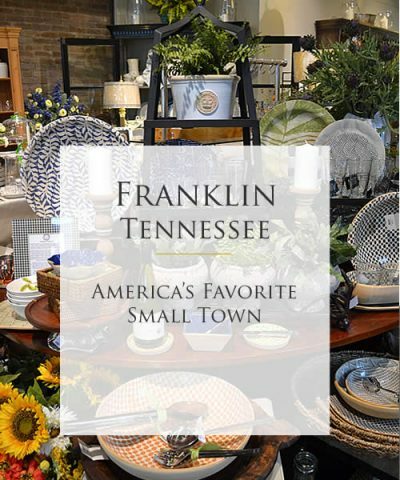 Franklin, Tennessee is the lovely city just south of Nashville. It’s a natural stop along The Gourmet Highway, with great restaurants, entertainment, wineries and galleries, complete with a backdrop of fascinating history and friendly locals who warmly embrace visitors. Franklin has earned national recognition as an authentic, eclectic place offering something for everyone! Step back to a simpler time in our history, where community matters. The magnificent Fountainbleu Hotel defines Miami Beach and is emblematic of the advanced architecture, elegance and romance that makes a journey along The Gourmet Highway a path to a higher life. Miami Beach is a melting pot and celebrates diversity through its food, art and entertainment. All of this along wth beautiful beaches, lots of wildlife and endless amenities. The weather is amazing all year round so if you haven't visited Miami Beach yet, anytime is a fabulous time to come visit Florida's most colorful city! Blue Ridge, Georgia is our next weekend stop on The Gourmet Highway. You can reach up and touch heaven in majestic Blue Ridge. This sets the stage for all kinds of adventures on The Gourmet Highway: fly fishing for native trout with handcrafted fly rods by Oyster, sidewalk window shopping, fine dining enjoyed with some fabulous red wines from Tiger Mountain Vineyards, fabulous fruit and baked goods from Mercier Orchards, all topped off by a romantic excursion on the Blue Ridge Scenic Railway. There’s so much fun for the whole family in Blue Ridge, one visit is certainly not enough! Lakeland's Florida Southern College campus is home to 13 magnificent buildings designed by fabled architect Frank Lloyd Wright. He called them "A Child of the Sun" and to behold them is a stunning experience. Lakeland's Terrace Hotel recalls the Jazz age, Gatsby, Flappers and elegance. A first-class hotel with one of America's greatest bars. In the heart of Lakeland's downtown, Lake Mirror Park offers a historic promenade, amphitheater and pedestrian walkways. Hollis Garden is a lovely formal garden that showcases more than 10,000 flowers and Florida indigenous plants. And you're never at a loss for shopping! And you'll find antiques, restaurants, museums, art galleries and pubs, right in the downtown area of Lakeland. Two giants of literature, Harper Lee and Truman Capote, grew up here as next door neighbors. The gorgeous old courthouse will forever be the home of Atticus Finch. Visit here and be transformed. Monroeville combines the conveniences and amenities of an urban lifestyle with the charm of a small town. Visitors come from all over the world to stroll the streets of this very special place. Monroeville is nestled about halfway between Montgomery and Mobile and you'll find a full range of lodging options to suit your budget and lifestyle. Enjoy! Elvis was born here in poverty, but soon absorbed the music of this gentle town and fulfilled his mission of teaching the world how to rock while making some spending money on the side. Tupelo has a variety of lodging options and everywhere you go you feel the beat of live music. A great place to do some dancing! Tour the Elvis-themed Guitar Trail, spend down time checking out the local spots, and be sure to have some biscuits with a good helping of Tupelo honey! The best kept secret in Florida is the barrier island of Lauderdale-By-The Sea. No high rise monstrosities, a small and diverse population, high quality of life and just beautiful. Doc once lived here and the experience transformed him forever. Now life and love come first. A perfect vacation spot. You don’t even need a car to enjoy this charming seaside village - everything you need for your beach vacation is conveniently located within a few steps of hotels, vacation rentals and other accommodations. The Gourmet Highway leads to many cultural treasures like Greenville, the lovely South Carolina city that hosts "Euphoria," the acclaimed wine and food festival each September. Greenville was recently in the news when Steve Martin and Martin Short performed at the Peace Center Concert Hall to an international audience via Netflix. Greenville is the perfect mix of with its big city amenities and small town, relxed vibe. Doc is along The Gourmet Highway in Bowling Green, Kentucky. The Everly Bothers said it best in a song: "A man in Kentucky sure is lucky to be down in Bowling Green." Doc takes us on a tour of the gentle city just two hours away from Nashville that is home to America's Corvettes. At the General Motors Corvette Assembly Plant, visitors can see the step-by-step production of America's favorite sports car. The Corvette Museum includes one-of-a-kind prototypes, that were designed but never manufactured, among other Corvette memorabilia. Bowling Green is geared for fun so one day just will not be enough! The Gourmet Highway tours fabulous Knoxville this weekend. It's the headquarters of the Tennessee Valley Authority that manages the nearby pristine TVA lakes like Douglas Lake, a fisherman's paradise. Knoxville is a wonderful, highly spirited city and on any given Saturday this fall, is covered in University of Tennessee orange. Market Square in downtown Knoxville is loaded with everything from fresh fruits, veggies and even BBQ! Knoxville nightlife is amazing, with live blues, bluegrass, jazz and more. Enjoy craft cocktails, theatre, music, opera, ballet, musicals. Knoxville is a friendly town that makes you want to stay.